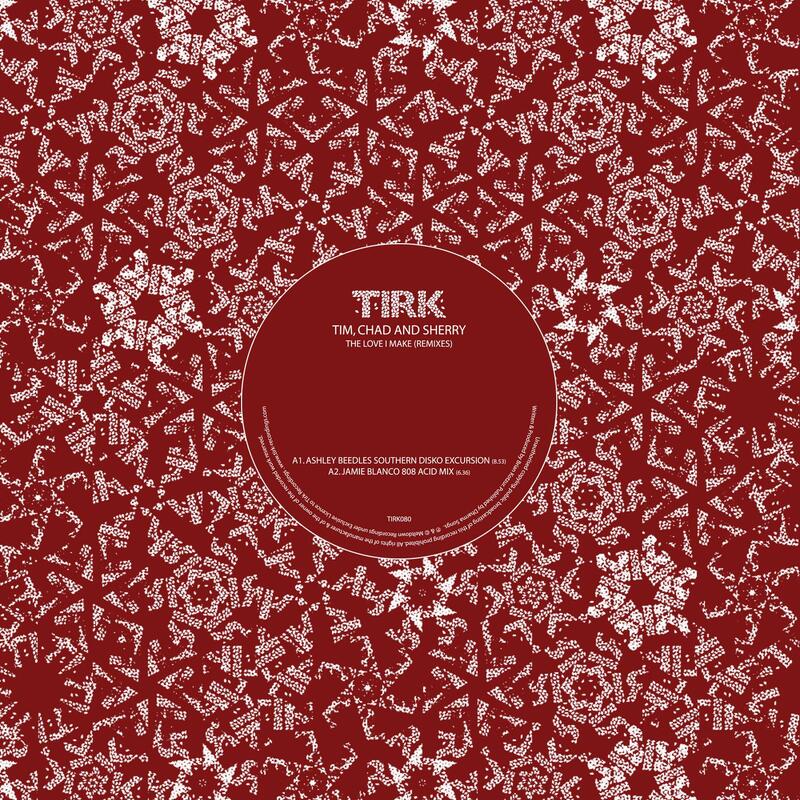 "The Love I Make (Remixes)"
This is a collection of remixes to accompany the forthcoming EP from psyche band Tim, Chad & Sherry, out on Tirk in September. We’ve called in a brace of bumping variations from Afrikanz On Marz (a joint project between Ashley Beedle & Darren Morris) and London’s Jamie Blanco to grace a limited 12” run. 'The Love I Make' is the initial bolt of crushed funk on the EP, and it's this track that we've turned over to our cunning remixers. The Afrikanz On Marz mix gets things ramped up into an elasticized slo-mo dancefloor frenzy. Jamie Blanco's 808 acid mix does exactly what it says in the tin with some bombastic kicks and 303 squelches. The other mixes are Dub and 'Red Drummer' variations on the Afrikanz On Marz mix (‘Red Drummer’ is digital only) and the funky original jam.